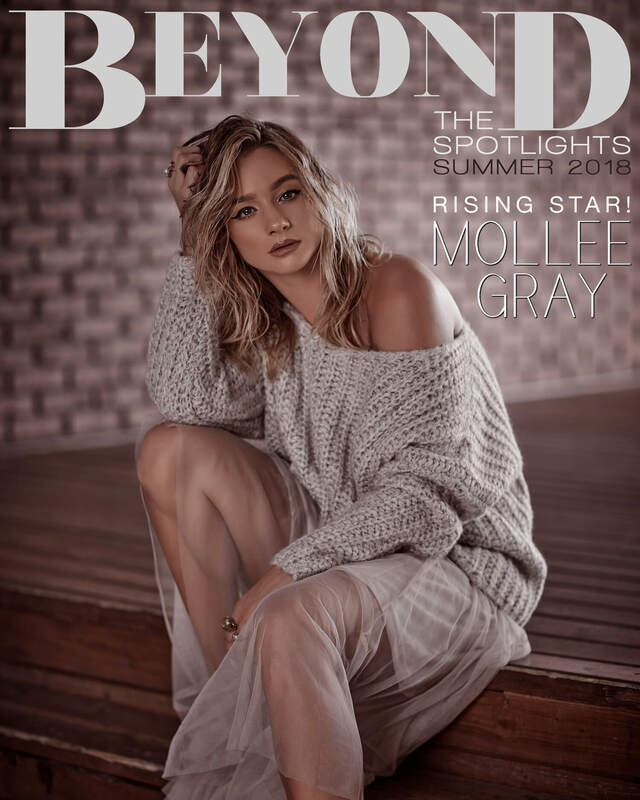 The Beyond The Spotlights collaboration with Mollee Gray was a scorcher! It was literally 90+ degrees in the downtown LA studio and with barely a fan to keep her cool, Mollee powered through the dance moves for the shoot like the true professional she is. Mollee was born in Salt Lake City, Utah but was raised in a small town called Orem. Since a young age, she has taken professional dancing classes and worked tirelessly to perfect her craft. 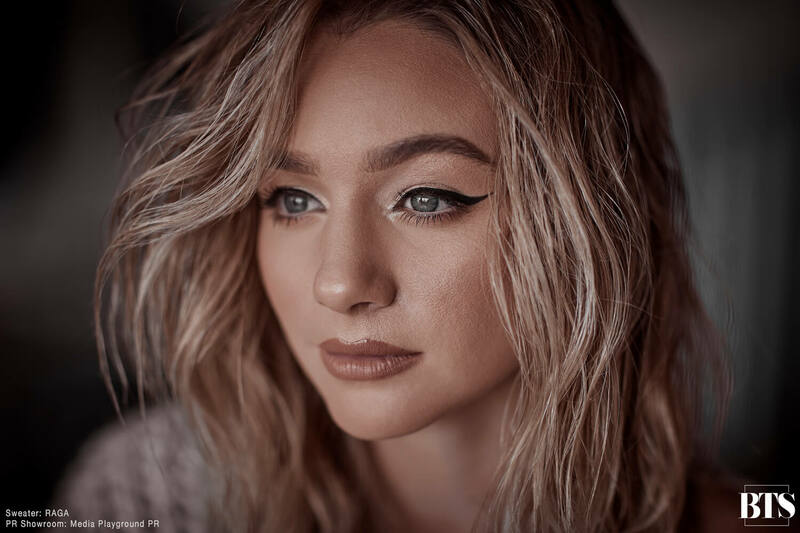 All of this work paid off when she was chosen for a role in the hugely successful Disney Channel movie, High School Musical. From there, she went on to play an important role in the second highest grossing Disney Channel Original Movie Teen Beach Movie and the following sequel in 2015. Gray has also starred in movies for Lifetime and other indie films. While Mollee enjoys the big city life and the opportunities LA presents, she still is a small-town girl at heart. When asked of her favorite memories, they all revolve around simple times at the lake with her family and friends. Mollee is also an animal lover, and if the world were to freeze somehow, she said she would go to the nearest shelter and rescue all of the dogs. Mollee is what many in the industry would call a triple threat. 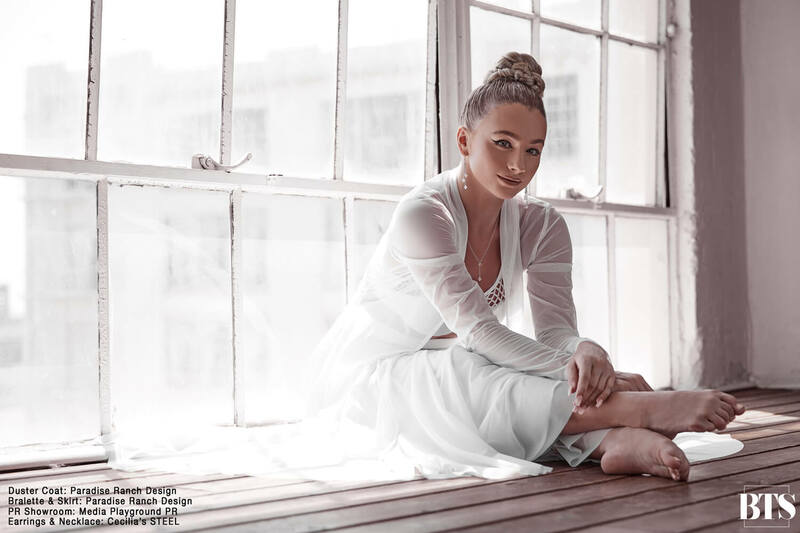 Not only is she a great actress, but she’s also a talented dancer appearing on competition shows like So You Think You Can Dance, and a budding musician. 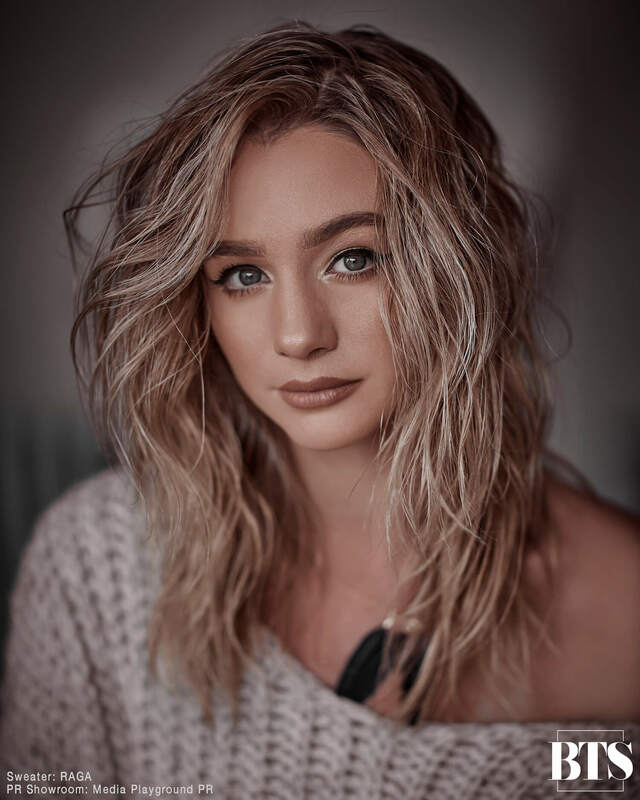 Only Mollee knows where her career will head next, but with so many talents and an appreciation for the simple things in life, it’s a sure bet that she will continue to grace screens for years to come. My favorite childhood memory was going to Lake Powell with my entire family! We had an amazing house boat and would cliff jump, and just hang out as a family! What is one positive item about living in a big city versus the small town where you were raised? What is one negative item? One positive thing is how much there is to do in a big city! From beaches to night life. I feel like there’s always something to do! Which leads me to the negative, sometimes it was nice to be in a small town, and have stillness and making memories with your neighbors in the cul-de-sac, barbecuing and playing basketball! Rosa Parks, no doubt. That woman wsa brave, beautiful, and just a hero to me and so many others. Probably rush to an animal shelter and rescue all the dogs that I could!! DEFINITELY speak to all animals!!! What are your three favorite apps on your phone? I would love to learn how to draw! I wish I could capture moments with my own hand and utensil rather than just taking a photo! Getting married to the love of my life!! How they react to people when they don’t think anyone is watching! In a cabin overlooking the lake! Going jet skiing, boating and having picnics! My entire family. They have made immense sacrifices for me and my dreams, and love me unconditionally through thick and thin! No matter how hard it gets, never give up! Appreciate the journey! I would really love to be on a series or portray an iconic character from a best-selling novel! To buy a home and raise a family!!! I have two movies coming out this year!! One is called ‘The Reliant’ and the other one is ‘The Favorite,’ both remarkable stories!